Become a subscriber and you'll be the first to know whenever we add new videos! Just look for the golden yellow Subscribe button near the top of the videos page at YouTube. Read on to learn a few of the most important puppy care tips for new dog owners. If you have any sort of dog related (non-emergency) health questions please feel free to use the form below to get advice directly from a real dog expert - right now. Now help is just a click away from you - any day, any time. And it's cheap too!. 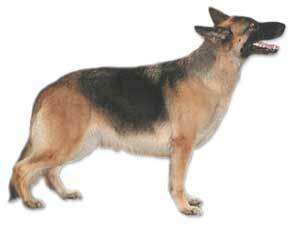 German Shepherd Ebook? Did you get the "owners manual" the day you chose your German Shepherd? Well, now here's your chance. GSD Rescue : Dedicated to Providing Homeless German Shepherds a Second Chance. Thanks so much for supporting our site - if you are in the market for any kind of German Shepherd related items or gifts please see what we have to offer. We have a wide range of products from the finest of dog collectibles to things you use everyday, like regular checks, and everything in between.